Thomas William Worsdell was born in Liverpool in 1838, as the eldest son of Nathaniel Worsdell (constructor of the Liverpool & Manchester's first carriages, and Carriage Superintendent of the Grand Junction Railway). Worsdell initially gained some initial experience at Crewe, and is recorded in the 1861 census as a mechanical engineer lodging with the Hinley family at 95 Bath Row in the St. Thomas registration district of Birmingham (census citation RG9 2137 31 22). In 1865 he visited the US for 6 years, which included a time as Master Mechanic at the Pennsylvania Railroad's Altoona Works. On his return in 1871, he became the Crewe Works Manager for F.W.Webb. During his ten years at Crewe, he oversaw large extensions to the works. Then in 1882 he took the office of Locomotive Superintendent with the GER. His stay with the GER was short, as in 1885 he was offered (and accepted) the post of Locomotive Superintendent with the North Eastern Railway (NER). Wilson Worsdell was already the NER's Assistant Mechanical Engineer and he continued to serve as an assistant to the new Locomotive Superintendent (Thomas Worsdell). Worsdell's early 2-cylinder compounds for the GER were not particularly successful. Characterised by an austere lack of external fittings, his 0-6-0 tender and 2-4-2T designs would define the outline of GER and NER designs for the next 20 years or so. At the NER, Worsdell brought about a period of standardisation, with his basic designs rapidly replaced the oldest heterogeneous designs of Fletcher and Bouch. 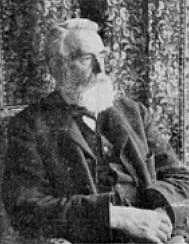 He retired in 1890 to be replaced by his brother, Wilson Worsdell, as the NER's CME. Although retiring due to ill health, Thomas Worsdell lived another 26 years and died in 1916.